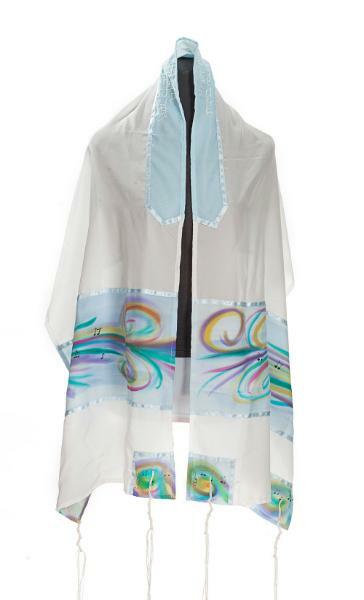 Made by Galilee Silks, this silk women's tallit is inspired by Prayer music, and the stripes upon which the notes sit are hand painted beautiful colorful lines on the silk, that curl and swirl beautifully at the ends. 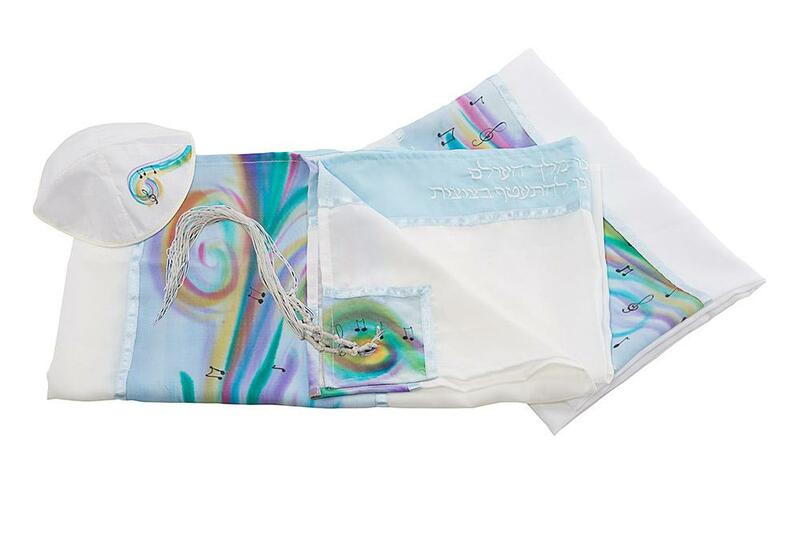 This gorgeous women's tallit is made out of silk and decorated with hand painted colorful striped, full of musical notes. 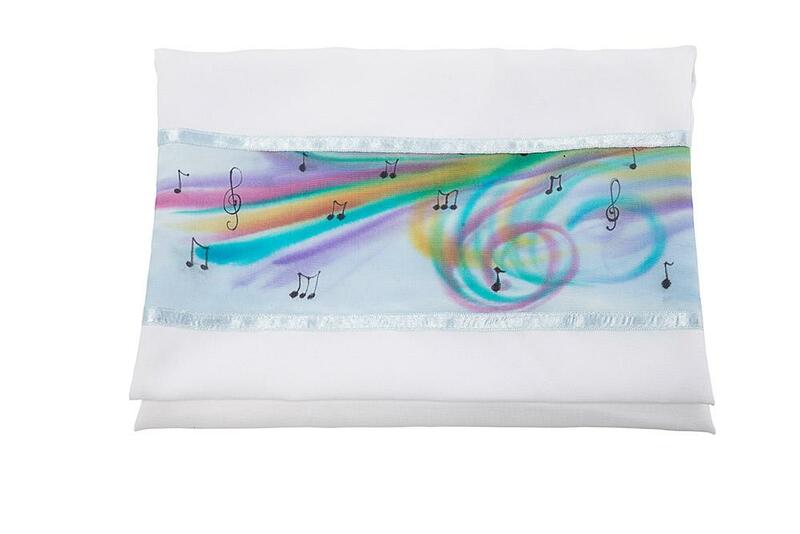 This musical tallit prayer shawl is inspired by prayer songs and will inspire the prayer of the wearer to reach new levels of meaningfulness and connectivity.